The Knights of Columbus is the world&apos;s largest Catholic fraternal service organization. Membership is limited to practicing Catholic men aged 18 or older. The Order consists of four different degrees, each exemplifying a different principle of the order. The Knights of Columbus consists of Catholic men who provide spiritual, social and outreach support to the parish and the community. 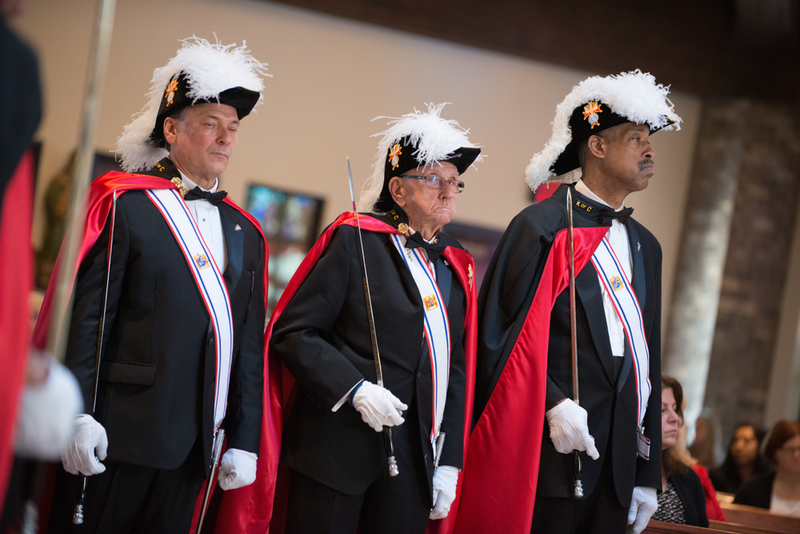 The Knights of Columbus are also noted for their charitable donations to the poor and forgiving educational scholarships to the youth. The Knights also participate in other tasks as needed by the pastor. The council meets on the first and third Mondays of the month in the Zoeller Center. New members are welcome all year round.